Don’t laugh! There are no shortcuts to fame – Live! Starring ... You! 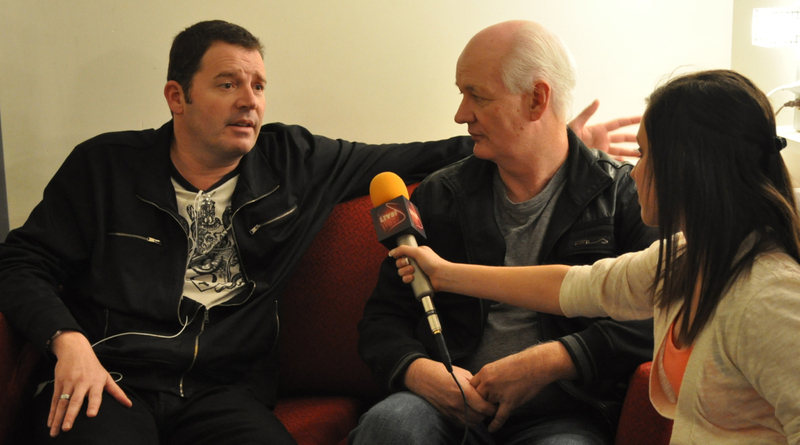 “Whose Line Is It Anyway?” stars Brad Sherwood and Colin Mochrie told LSY’s Francesca Harvey that people think it’s easy to get famous nowadays. Countless kids dream of fame. But can shows like The Voice, X-Factor and American Idol – or even just YouTube – be an easy way to achieve that goal? When you look at someone like Justin Bieber, who was discovered on YouTube, or Carrie Underwood, who won Idol, it might seem so. That’s what Colin Mochrie and Brad Sherwood, improv comedians who achieved fame on the show Whose Line Is It Anyway?, told Live! Starring … You!’s Francesca Harvey. What people don’t totally understand is how much hard work and luck it takes to simply be noticed, and much more hard work it takes to actually earn money as a performer. Plus, to get on shows like Idol, X-Factor or Voice, you need to be chosen from a field of thousands of contestants. On YouTube, your work needs to somehow be noticed among millions of videos. What is easier now than ever before is getting the chance to be noticed. Virtually anyone who can get to an audition is allow to try out for reality singing shows, and YouTube allows anyone with a camera to put their work online. YouTube, for example, has been a huge factor in the career of filmmaker Jon M. Chu, who directed Step Up 2, Step Up 3D, Justin Bieber’s Never Say Never, and G.I. Joe 2. He used the video site to showcase his talents by creating an online dance show called The LXD (which stands for League of Extraordinary Dancers). YouTube and reality shows occasionally result in instant fame, but the bigger goal is to have a long, successful career – no matter how you get discovered. Filed Under: Entertainment, Pop Culture Tagged With: Brad Sherwood, Colin Mochrie, Whose Line Is it Anyway?